February may be all about love – after all, it is the month of Valentine’s Day and Heart Health. However, it is particularly important every month to love yourself by making smart choices so you can keep sharing the love with your family and friends. And, as F&B are quick to point out, Cheerios tastes good too! 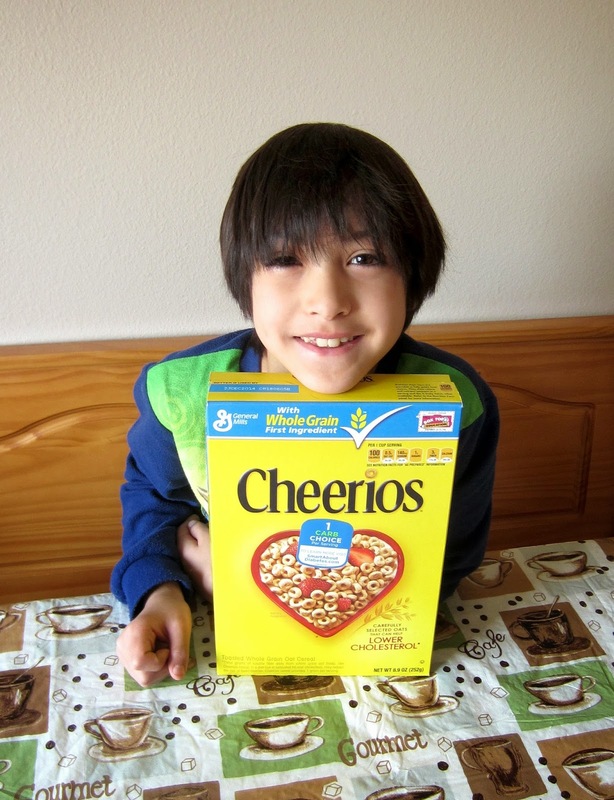 Like many moms, Cheerios was one of the first snack foods I tucked in my purse when I was out and about with toddler F&B. But not much has changed over the years, other than they prefer their Cheerios in a bowl now, instead of in a baggie! Both kids love to add fruit to their Cheerios, with bananas being Faith's favorite and blueberries being Ben's. Strawberries, in season, are another popular choice around my house! Fresh or dried fruits make a great addition to a bowl. And, as a mom, it makes me feel much better to know that the kids are getting a good breakfast, especially on mornings we are in a hurry! Nothing easier than adding some milk to Cheerios.